Topics: Furniture, Bedroom, Dining, Quality & Construction, and Care/cleaning. Age: The domain is 19 years and 1 months old. The estimated 91 daily visitors, each view 2.90 pages on average. 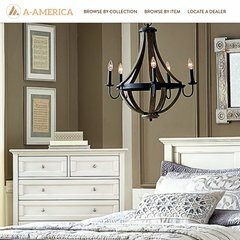 oakfurnitureatwholesal.. Oak Arizona - Oak Furniture in Arizona, Phoenix, Scottsdale, ..
Rackspace Hosting Texas is the location of the Apache server. Its local IP address is 72.4.117.217. Its 2 nameservers are ns2.npinfo.com, and ns1.npinfo.com. PING www. (72.4.117.217) 56(84) bytes of data. Pinging the server, resulted in a 35.3 ms response.